Collaborative Law Attorney for divorce, custody, and support cases. 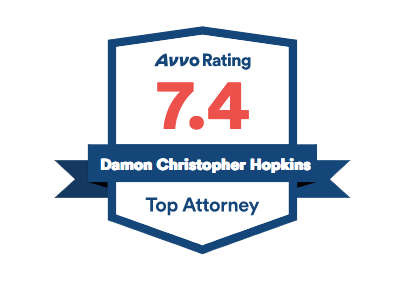 Damon C. Hopkins has been practicing law since 1995 everywhere in Erie County, including North East, and Corry, PA. After years of nasty family litigation, he is genuinely delighted to represent clients using the collaborative process. His goal has always been to leave a client in a better position than when he first met them. During the collaborative process, both parties work together with their collaborative attorneys and other professionals to resolve all their issues. The process resolves divorce, custody, support, and property division issues, while causing less emotional discomfort for everyone involved. Attorney Hopkins offers you the ability to handle your family law issues using the collaborative process. Using collaborative law allows your family to stay out of court. The cruelty of separation and divorce can lead spouses down the wrong path, encouraging them to oppose one another and to give the responsibility for decision-making to their attorneys and the court. Using collaborative law, Attorney Hopkins provides information and guidance to help you and your spouse develop mutually beneficial solutions for a separation or divorce. Divorces, separations, and premarital agreements all deal with money, but custody cases deal with children. Working things out with the other parent through the collaborative process benefits you and your children. Figuring out what’s best for the child/children is what everyone prioritizes in the collaborative process. With the help of Attorney Hopkins, you can guarantee a better outcome for everyone involved by using the collaborative law process. For more information on the principles of collaborative law check out the “Principles of Collaborative Law” (PDF) and the “Handbook for Potential Collaborative Clients” (PDF). Choose Attorney Hopkins. Choose Collaborative Law.